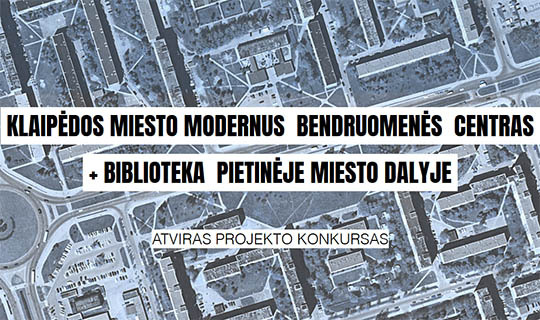 The new building will be the central public library of Klaipėda city municipality. The goal of the new library is to strengthen and expand its role as a meeting and communication place for the residents of Klaipėda. The public library should become a safe, non-commercial space for self-education, creativity, leisure, communication, and work. Visitors should come here in search of knowledge, entertainment or simply led by a sense of community spirit to discuss, listen, or to have some quiet time. 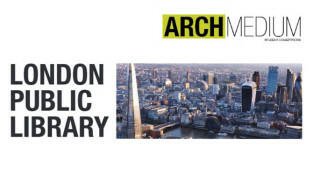 The Jury consists of representatives of the Klaipėda City Municipality, Klaipėda City Municipal Public Library and architects valued at the national and international level for designing library buildings. 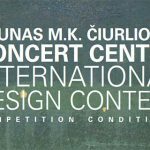 Honorarium for the competition is 16,000 euros. The participants shall prepare and submit the Project tender and the required documents (including queries, reports, requests, etc.) in Lithuanian. – European Single Procurement Document (EBVPD). The participant must place packages 1 and 2 in a joint package with the name of the project competition and the motto of the project. – Additional, significant material for demonstration of author’s ideas. – A power of attorney or other document entitling to sign the Project tender submitted by the participant (applicable when the Project tender is signed not by a manager but by an authorized person) .